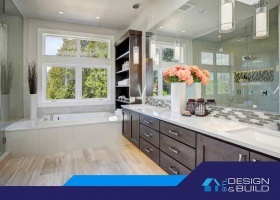 You must make the most of your bathroom space to ensure that it is as functional as possible. When you have plans to remodel this area of your home, it is important that you consider how all the essential fixtures must be laid out. It can be intimidating at first given the many choices, but planning the layout allows you to customize it to fit your needs.